Elephant Trails is more than an exhibit; it is also an extensive conservation program built on decades of science. The Smithsonian’s National Zoo’s rich history of caring for and studying Asian elephants spans more than a century. 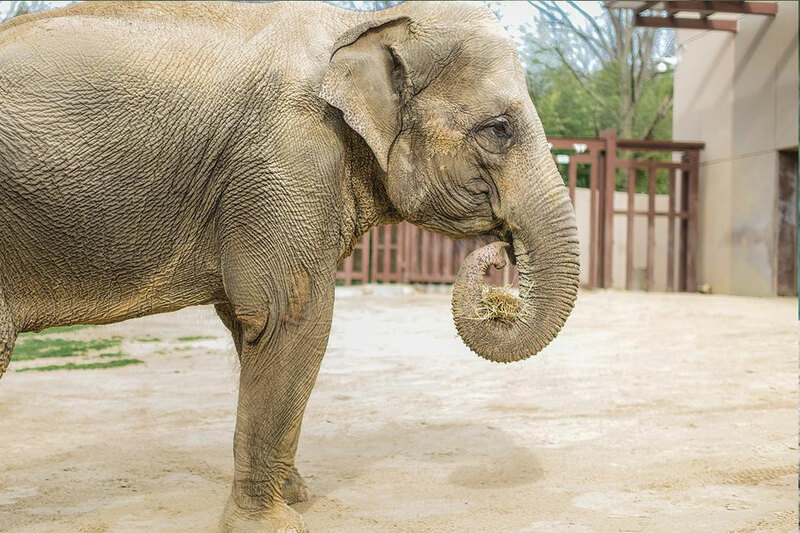 Scientists at the Zoo and Smithsonian Conservation Biology Institute are working to create a comprehensive view of Asian elephant biology, behavior, reproduction, genetics, migration, elephant endotheliotropic virus (EEHV), and the challenges surrounding human-elephant conflict. Elephant Trails—where visitors can experience the sights, sounds, and smells of the multi-generational herd—is the cornerstone of the campaign to save this endangered species from extinction. While six female elephants live on Elephant Trails currently, the exhibit is large enough to house between eight and ten adult elephants and their young. Although the elephants don't need to travel at the Zoo, Elephant Trails give them ample space to move around. Within the Elephant Community Center and the surrounding outdoor yards, the elephants have their choice of four pools for bathing, swimming and playing in the warmer months. Unique to the Zoo, the Elephant Trek provides outdoor exercise experiences for the Zoo’s elephants. Visible from the Homer and Martha Gudelski Elephant Outpost, the quarter-mile path winds its way through the woods between Elephant Trails and the Bird House, simulating the elevated terrain of their natural habitats.